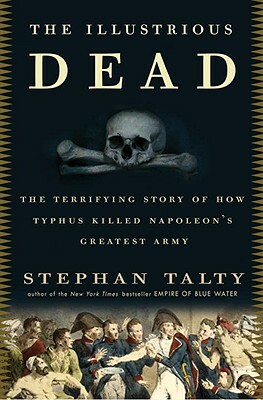 In a masterful dual narrative that pits the heights of human ambition and achievement against the supremacy of nature, New York Times bestselling author Stephan Talty tells the story of a mighty ruler and a tiny microbe, antagonists whose struggle would shape the modern world. In the spring of 1812, Napoleon Bonaparte was at the height of his powers. Forty-five million called him emperor, and he commanded a nation that was the richest, most cultured, and advanced on earth. No army could stand against his impeccably trained, brilliantly led forces, and his continued sweep across Europe seemed inevitable. Early that year, bolstered by his successes, Napoleon turned his attentions toward Moscow, helming the largest invasion in human history. Surely, Tsar Alexander’s outnumbered troops would crumble against this mighty force. But another powerful and ancient enemy awaited Napoleon’s men in the Russian steppes. Virulent and swift, this microscopic foe would bring the emperor to his knees. Yet Talty’s sweeping tale takes us far beyond the doomed heroics and bloody clashes of the battlefield. The Illustrious Dead delves deep into the origins of the pathogen that finally ended the mighty emperor’s dreams of world conquest and exposes this “war plague’s” hidden role throughout history. A tale of two unstoppable forces meeting on the road to Moscow in an epic clash of killer microbe and peerless army, The Illustrious Dead is a historical whodunit in which a million lives hang in the balance. STEPHAN TALTY is a widely published journalist who has contributed to "The New York Times Magazine," "GQ, Men's Journal, Time Out New York, Details," and many other publications. He is the "New York Times" bestselling author of "Empire of Blue Water" and "Mulatto America: At the Crossroads of Black and White Culture."